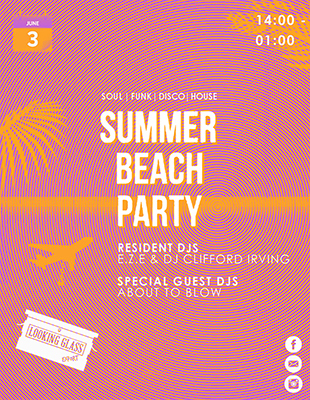 This summer Looking Glass Cocktail Club boasts summer long frolicking, bad beach behaviour and scrumptious quaffgasmic summer cocktails. 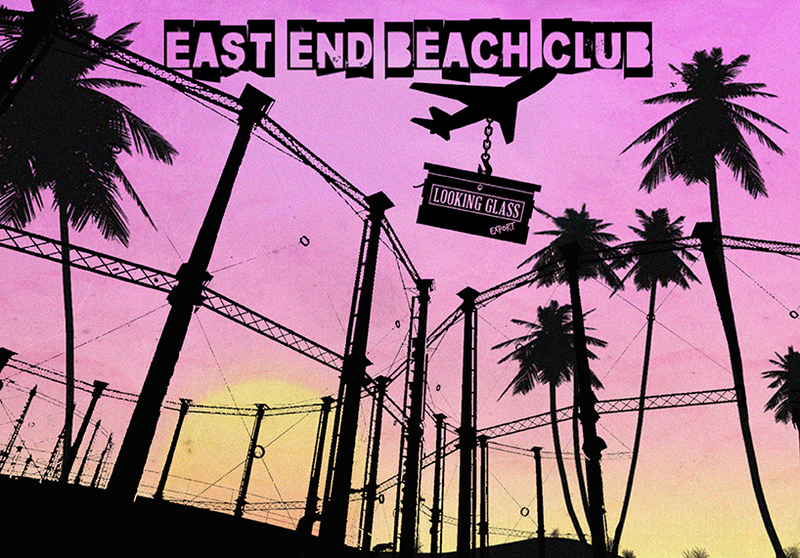 East End Beach Club launches itself in the busy streets of East London, providing an 80s retro feel within a tropical haven. 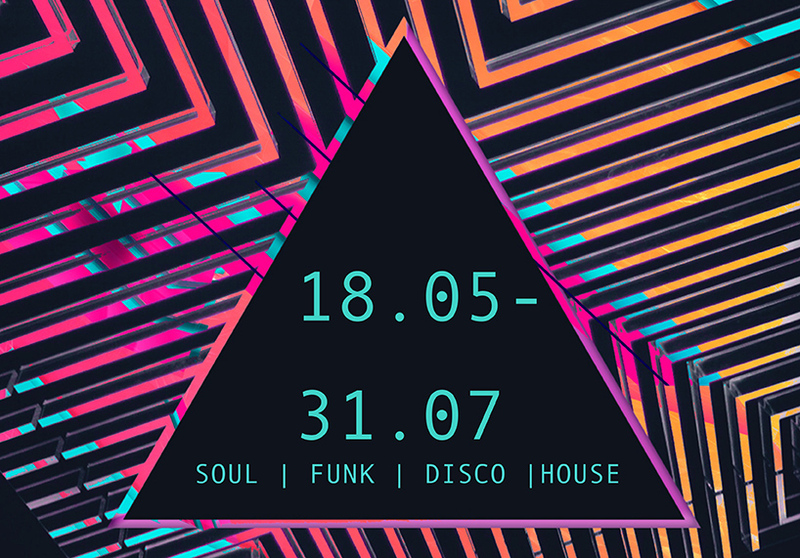 We are sure to become your favourite East London spot for basking in the syn surrounded by great cocktails, street food and DJs all day and night. Private Hire/Bookings: Our space is now available for hire for special occasions, please contact info@lookingglasslondon.co.uk to enquire.